This cosy spa and conference hotel that caters to your every need is a family favourite. A tropical pool area with saunas and good restaurants offers activities and pampering for all, close to Tampere. Scandic Eden Nokia is a great choice when you want to relax and have access to versatile spa services. In the warm tropical spa section you can find the longest water slide in Finland, a brisk outdoor pool and a relaxation suite, where you can enjoy both an infrared sauna and scented sauna as well as the heat of the solarium. Upgrade your spa visit and book a pampering treatment in our Day Spa. While bathing you can enjoy drinks from the pool bar. We also have a well-equipped gym, games room and frisbee and minigolf course. Our spacious and comfortable rooms and extensive room selection cater for all needs. The rooms have comfortable beds and all you need for a good night’s sleep. Some rooms even have their own sauna. Even bigger groups enjoy their stay here! The hotel also has 3 restaurants and a cosy lobby bar. We have meeting and event rooms for up to 220 people. All areas of our hotel have free WiFi and there’s a large outdoor car park available for hotel guests, free of charge. The hotel has good transport connections. Nokia city centre is 3 kilometres away and Tampere is only 15 kilometres away. 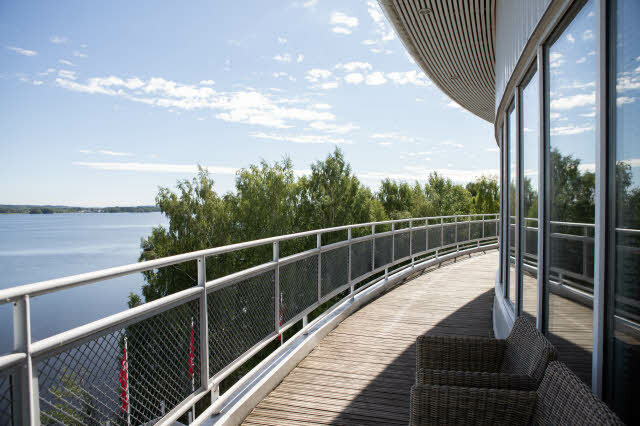 In the immediate surroundings of Scandic Eden Nokia, you can enjoy nature’s peace and beauty. There are opportunities for downhill skiing, snowboarding and golf within a short distance from the hotel. If you want to experience the buzz of a city and shopping, it’s quick and easy to get to Tampere with your own car or by public transport. There’s a direct connection to Nokia from Helsinki, and the bus stops right next to the hotel. An amazing 1,500 sqm spa area that offers plenty of activities for every water enthusiast. Day Spa offers a versatile selection of treatments and pampering packages. Welcome to a world of tasty experiences! Enjoy a delicious meal, refreshing drinks or stop by for a coffee. It's difficult not to feel welcome. Our spa and conference hotel has 9 versatile meeting, conference and event rooms for up to 220 people.